Superzoom cameras can do one thing no other camera can do: they can zoom from very wide angle to extreme telephoto in a heartbeat. They are lightweight and powerful. No need to carry multiple lenses or lose the shot by having to change a lens at the last moment. And they are FUN! 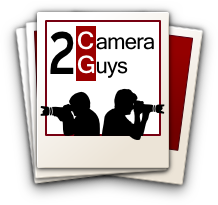 There are TWO categories of superzoom cameras on this site. The Superzoom Bridge cameras look like small DSLRs and have the maximum zoom range possible. Those cameras are covered in this shootout. There are smaller, compact superzooms as well that don't have quite the zoom range or performance, but they cost less and fit more easily into your pocket. 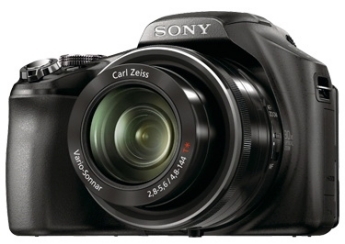 If that is what you want, check out the Best Compact Superzoom Cameras shootout. UPDATE #1, MAY 22: This superzoom shootout was originally posted in February. 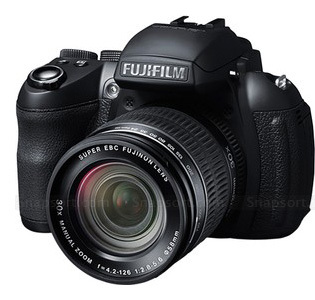 Since then the Nikon P510 and the Fujifilm HS30EXR have come onto the market. This update incorporates our reports on these two new cameras. In our testing, neither one was able to knock the Panasonic FZ150 out of its First Place ranking. The Nikon P500 has been discontinued. 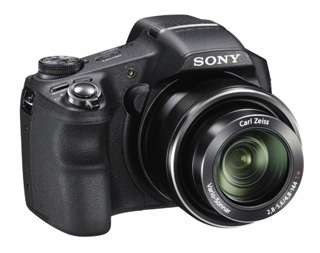 UPDATE #2, JUNE 29: The Sony HX200V has been added. Not a bad superzoom bridge camera, but not at the level of the Panasonic FZ150. 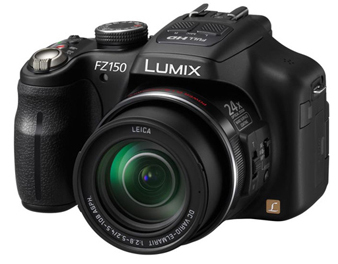 As an overall performer, the Panasonic DMC-FZ150 stands head and shoulders above the competition. It gets our strongest recommendation, with one important caveat: if all you do is long distance maximum telephoto zoom photography with the camera mounted on a tripod, the Canon SX40 HS beats the FZ150 in this particular type of use. What's so hot about the FZ150? First, picture quality is superb. At maximum zoom, the image is evenly exposed and sharp from edge to edge. The camera finds and focuses quickly and responds rapidly. But beyond image quality and handling, the viewfinder on the FZ150 is big, bright and easy to use; with the FZ150 you can actually see what you are taking a picture of. It's widest angle setting, 25mm, is competitive, but its 600mm maximum telephoto does not have the reach of the competition. Nevertheless, the value proposition is clear: give up a bit of zoom range in exchange for extra pristine picture quality. When it comes to seeing, composing, and capturing great photographs, the Panasonic FZ150 delivers. More about the Panasonic DMC-FZ150. The SX40 HS features a very long 35x zoom range, a fully articulating LCD screen, and full HD 1080p/24 format video capability, all for about $400. The SX40 is the best superzoom camera around IF you use a tripod and shoot stationary subjects from a long distance. On the other hand, for hand held shooting at maximum zoom you will generally get more satisfying results with the FZ150. In addition, the SX40's viewfinder is smaller and dimmer than those on the competition, and its LCD screen is smaller and lower in resolution. These limitations can make the camera more difficult to use than the others. 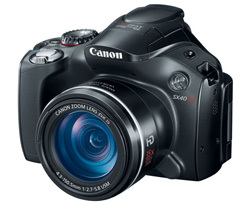 More about the Canon SX40 HS. The Sony HX100V is a FUN camera that boasts the highest resolution (16 MP) in the group (though the high resolution buys you nothing in terms of image sharpness). It should be great for family vacations and casual shooting due to its rapid response and a large, bright viewfinder which aids immensely in composition. But in automatic modes it tends to underexpose pictures and to not get the color quite right, which means that you will need to fuss with controls that casual users won't want to fuss with. More about the Sony HX100V. The Sony HX200V is this spring's "new and improved" version of last year's HX100V. Resolution has been boosted to 18MP, but this has done nothing to fix the image sharpness problem that was evident on the HX100V--if anything it is worse. We see higher levels of noise on the HX200V than on the HX100V. It should be fine for family vacations and casual shooting due to its rapid response. And it is great for HD movies. More about the Sony HX200V. 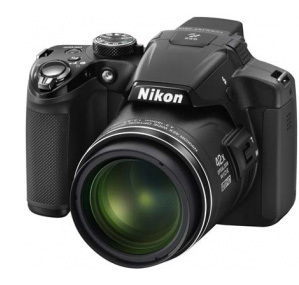 With a 42x zoom range, the Nikon P510 offers the longest zoom range on the market. Its 1000mm telephoto reach surpasses the 840mm of the Canon SX40. But when you are shooting at the long end of the lens, you get a softer picture than you do with the other superzooms, which is pretty much what you don't want. The P510 also struggles with basic usability. Quite a few pictures were ruined due to blurring on this model due to slowness of autofocus or inability to focus. Continuous autofocus in video mode was unable to keep the image sharp as the zoom lens changes. The Nikon P510 can take a great picture, but it is not up to the company's top standards. More about the Nikon P510. It feels solid and professional coming out of the box, but the Fuji HS30 did not live up to expectations. A higher level of noise than anticipated, a softness in many photos, and difficulties with capturing smooth, in focus video combined to put the HS30 at the rear of the pack in the superzoom category. Like the Nikon P510, the HS30 can take a great picture, but it failed to do so more frequently than we found acceptable. More about the FujiFilm HS30 EXR. 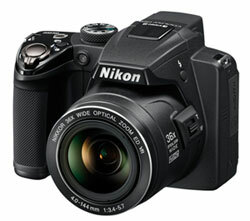 With a 36x zoom range, the Nikon P500 offers the longest zoom range on the market, just edging out the Canon SX40. It also has the widest angle capability of the bunch, at just 22.5mm. But when you are shooting at the long end of the lens, you get a softer picture than you do with the other superzooms, which is exactly what you don't want. The P500 also struggles with basic usability. More pictures were ruined due to blurring on this model than on the others due to slowness of autofocus or inability to focus. This camera left us frustrated. Nikon makes a lot of great cameras, but the P500 is not up to the company's top standards. More about the Nikon P500.